An Orlando Science Center annual membership is your all-inclusive pass to save on science! 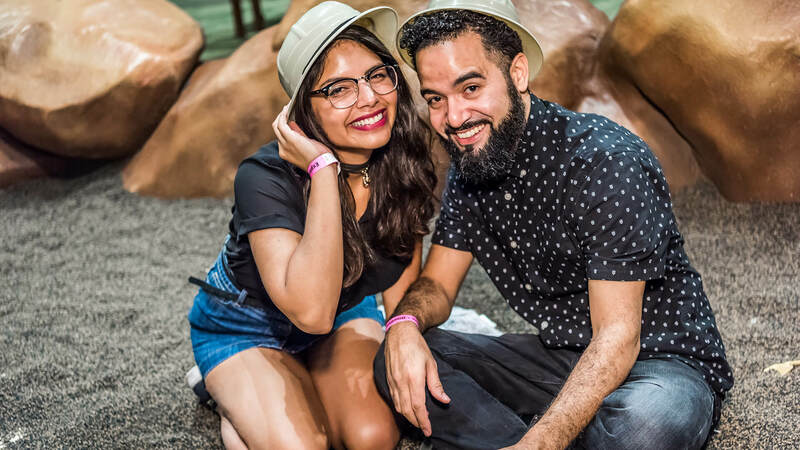 Enjoy unlimited general admission, exclusive Member-Only events, discounts, and even more perks. Become a member today to see why it’s the best deal in town! Science Center fun for one! This membership includes a full year of membership benefits for one adult age 18 or older to come back as often as they would like. This reduced-rate membership for current college students includes all member perks except for Member Guest Passes. Valid for one person who must present valid student ID. The ideal membership for the perfect pair! Membership for any two individuals, one of whom must be over the age of 18. Bring the whole brood! This membership level includes benefits for up to two adults and all youth under age 18 with adult add-on options available. Grandkids in town? Enjoy indoor and educational entertainment as you create memories together. Includes benefits for up to two adults and any grandchildren under 18. Customize your membership with up to two additional adults! 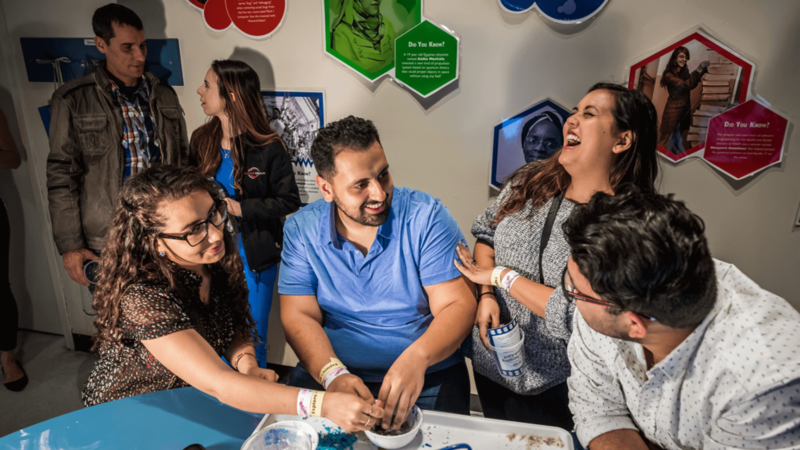 Add one person who can check in all year for just $25 or, if you’re attending OSC with a nanny, for $50 you can include any caregiver you bring with you to the Science Center. Limit two add-ons per membership. Nanny option: Limit one caregiver per day. 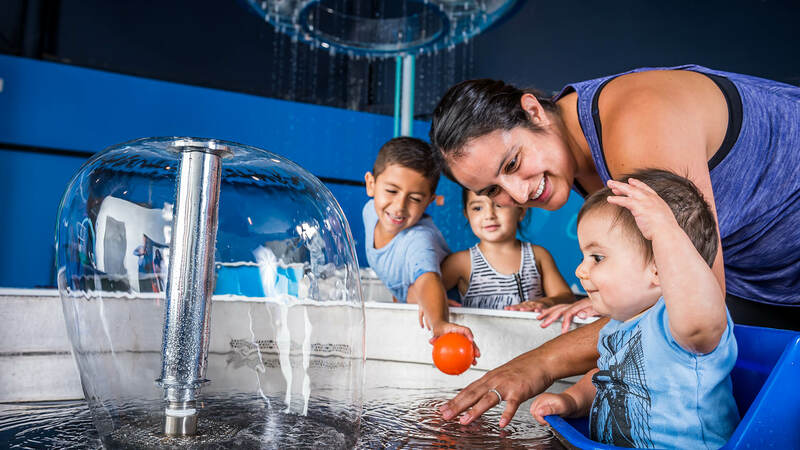 The Science For All program offers reduced-price Family Memberships for $25 for qualifying families who would not have the opportunity otherwise to experience the Science Center. A limited amount of scholarship funding is currently allocated toward Science For All Memberships and applicants must be able to demonstrate financial need. Applications are accepted on a first come, first serve basis and funding is subject to change. Why play for a day when you can unlock fun and discovery all year long with your membership! Enjoy unlimited general admission so you can come back as often as you’d like during normal operating hours. If you choose to drive to the Science Center, as a Member, you don’t have to pay for parking! That’s $5 savings every time you visit! Parking is not guaranteed as the OSC garage may fill up at peak times such as during special events, so please plan accordingly. 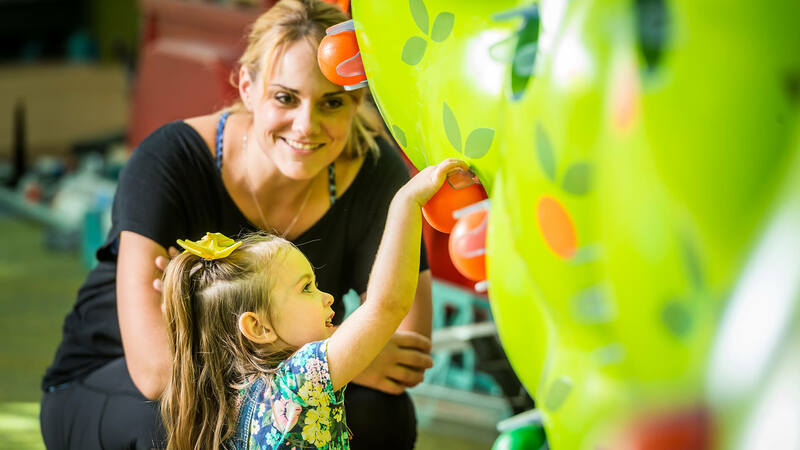 OSC Members with children age 0–7 get exclusive, early access to everyone’s favorite early childhood exhibit, KidsTown! 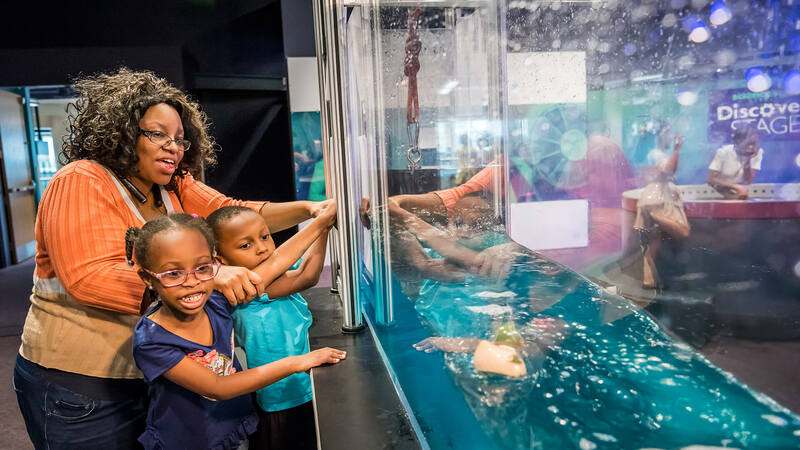 Every day the Science Center is open, Members can enjoy KidsTown all to themselves from 9:00 to 10:00 a.m.
See as many as your brain desires during each visit! Whether on the giant-screen or spectacular 3D, be transported anywhere and when, on and off the Earth in the Dr. Phillips CineDome and the Digital Adventure Theater. As an added value, your membership includes one feature-length Hollywood film and Laser Light Show per visit! Laser Light Shows are seasonal and Hollywood films are only available Thursdays through Sundays* so be sure to check the calendar before your visit! Science fun is better when you can share it with friends! All membership levels except for the College Membership come with four complimentary Member Guests Passes valued at up to $84. MGPs must be presented and surrendered at purchase. Once issued, MGPs are not replaceable. Exclusions may apply. OSC regularly plans exclusive events just for our valued Members! 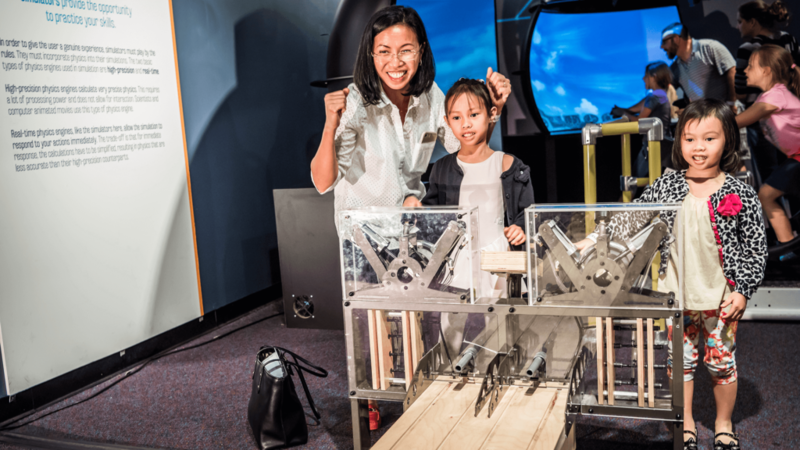 These include Member Previews for traveling exhibits, film premieres, special programming like Pumpkins & Protons Party, and more, allowing you to be among the first to experience what’s new at your Science Center! Show your Membership card at The Science Store, Subway, and The Coffee Spot to receive 10% off at each location! 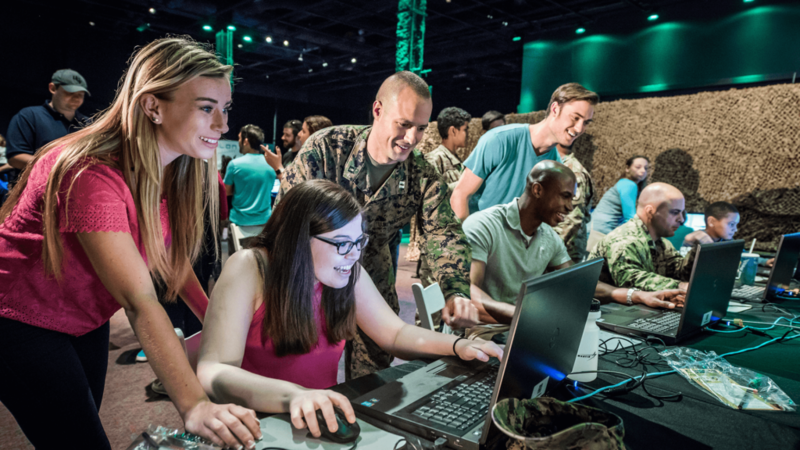 Orlando Science Center Members get free admission to special events like our annual technology event Otronicon and can reserve free tickets to Science Night Live while supplies are available. A Member rate is also available for our annual Science of Wine fundraiser. 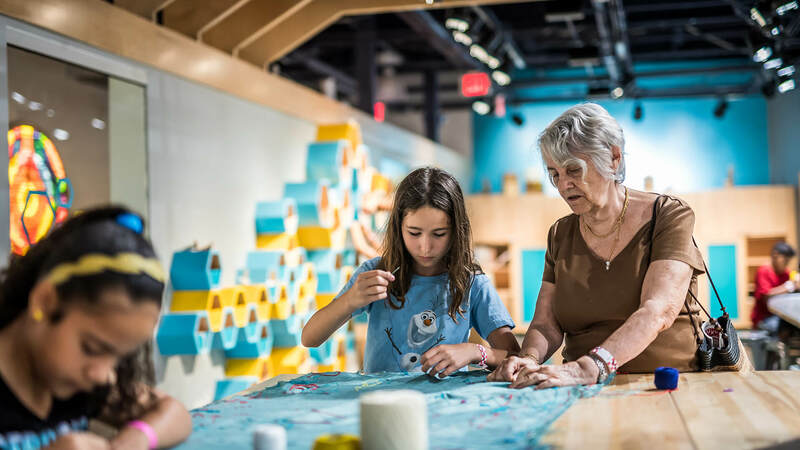 Reduced Member rates are available on select educational programs like Summer Camps, Break Camps, workshops, birthday parties, and more so our Members can save on science! 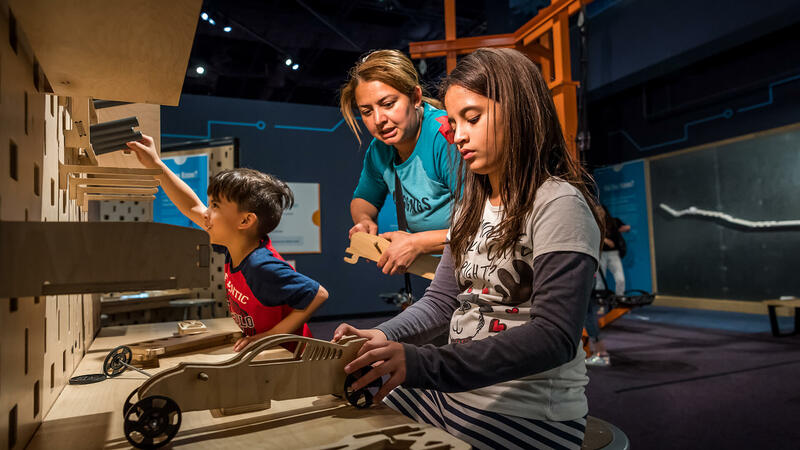 As a benefit of your membership, you have free or discounted admission to 350 museums and science centers across the country through the Association of Science-Technology Centers (ASTC) Travel Passport Program. Restrictions apply. Always be in the know with our monthly e-newsletter MicroSCOPE, which is chock-full of the latest exhibit news and goings on at the Science Center as well as member-exclusive events and promo codes. Members also receive a one-year subscription to SCOPE Magazine, mailed directly to your home three times a year. Click here to purchase or renew a membership for yourself! Click here to gift a membership to someone else! Call 407.514.2158 to speak with a membership associate. Purchase at the Admissions Desk on your next visit. To download the full issue, please click here. Memberships do not include special engagement exhibitions. 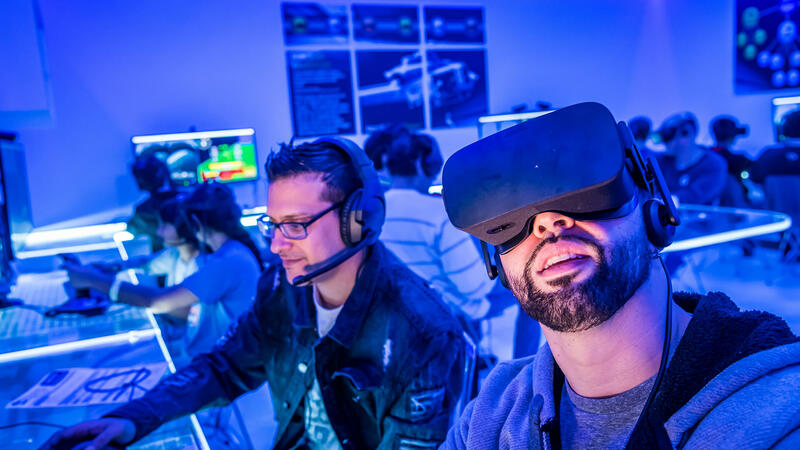 Complimentary guest passes, discount offers and reciprocal member admissions are accepted during special events such as Otronicon. They are not accepted for Blockbuster Exhibits. Free parking not applied to overflow parking lots in surrounding areas. Memberships are non-refundable and non-transferable. Contents of exhibits are subject to change. Memberships are valid one year from date of purchase; or one year from Gift Membership redemption. Free admission benefit does not apply when a member youth visits with a group. Memberships do not include some special engagement exhibitions. Other exclusions may apply.